Active brothers will drive the people to the off campus sites. Please contact Chris Franz at ctf20883@creighton.edu for more information. We hope to see you at all our events! Congratulations to brother William Fogarty, winner of Phi Kappa Psi’s Nebraska Beta 2012 Brother of the Year! The Brother of the Year Award is given to one member who exemplifies Phi Kappa Psi on a daily basis. This brother is the all-around Phi Kappa Psi member, one who is at every chapter, fundraiser, philanthropy, and event our chapter hosts; a brother who gives of himself to the Fraternity constantly. William has made clear his diligence and dedication to Phi Kappa Psi and for that we are very grateful. 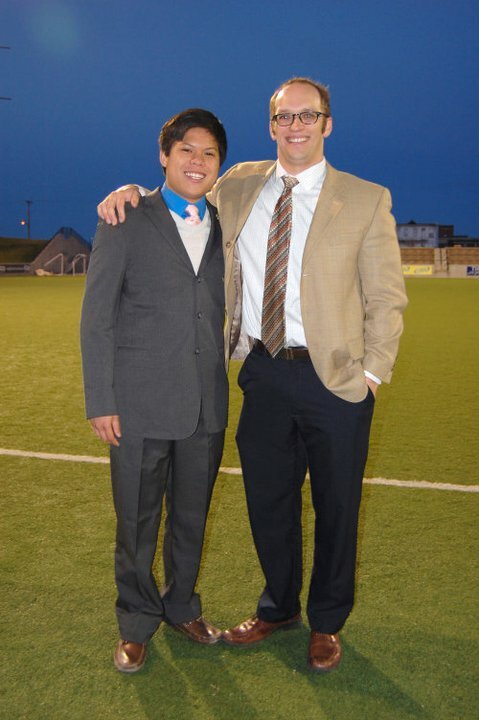 Again, Congratulations to William Fogarty: Phi Kappa Psi’s Nebraska Beta 2012 Brother of the Year! After a successful spring recruitment, the brothers of Phi Kappa Psi at Creighton University obtained 16 potential brothers. Good luck to them in the pledge process and may they come to understand what it means to by a brother of Phi Kappa Psi. Thank you to Will Fogarty, Nick Flolid, Connor Hayes, Matt Wiles and all others who helped put on Semi Formal for Phi Psi last Friday. The house looked fantastic and the dinner went very well. Special thanks to Rob Wilmes for is guest appearance! Hope everyone had a good time and we will see you at formal! Thank you to all who attended and helped out with the Alumni BBQ this past weekend. It was a great success and we had a great turnout from our Alumni. Thanks to Matt Griffin and Dan Allman our Alumni chairs who put on the event. Phi Psi Welcomes Four Potential New Members! Phi Kappa Psi welcomed four new members to the new member education program last week. Good luck to the new members as they begin their journey learning the values of Phi Kappa Psi and may the spirit of brotherhood guide them along the way. Hello all and welcome back to another great year at Creighton University. Phi Kappa Psi is very excited to begin the year with Informal Fall Recruitment. If you are a sophomore or upper class-men and are interested in joining the brotherhood of Phi Kappa Psi please come join us at our recruitment events. Tuesday September 13th 6:15-8:15 Big Johns Billiards Hall. *Note all off campus events meet in front of Skutt Fireplace. The Men of Excellence at Phi Kappa Psi look forward to these exciting recruitment events and meeting potential new members. Phi Kappa Psi Wins Greek Awards Again! 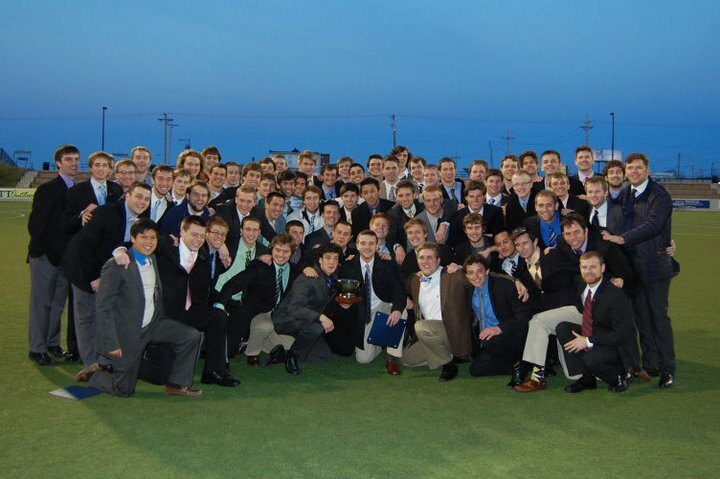 The Brothers of Phi Kappa Psi accepted Chapter of the Year for the 2011 Creighton University Greek Awards. This award represents the hard work of all the brothers through the full spectrum of activities in which the Chapter engages and the diligence of the leadership over the past year. 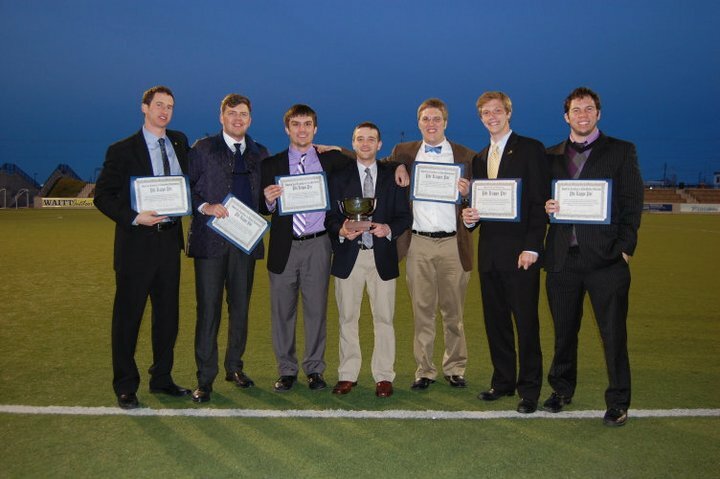 Phi Kappa Psi received first place awards in six of the ten categories and second place in an additional two. The Hauser Cup for Chapter of the Year returns to Phi Psi! Phi Kappa Psi's own Michael Thomson also secured the Greek Man of the Year award for an outstanding career of involvement with the Chapter and especially with the Interfraternity Council (IFC) on which he has served since his first year, most recently as President. 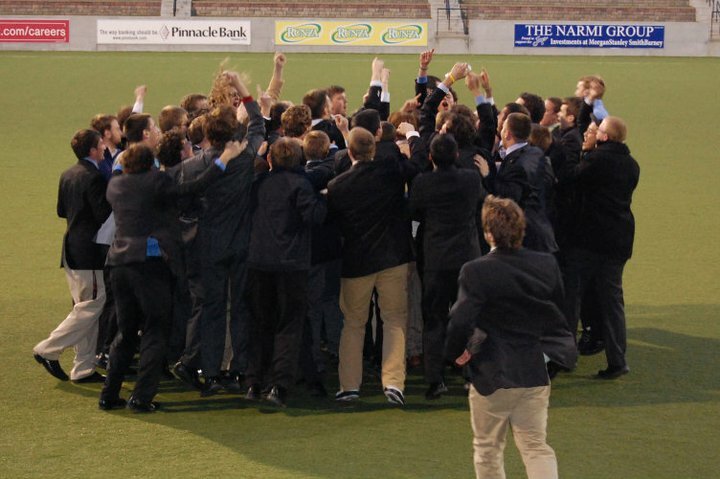 Expect much more to come from the Brothers of Phi Psi this Fall in the 2011-2012 school year.